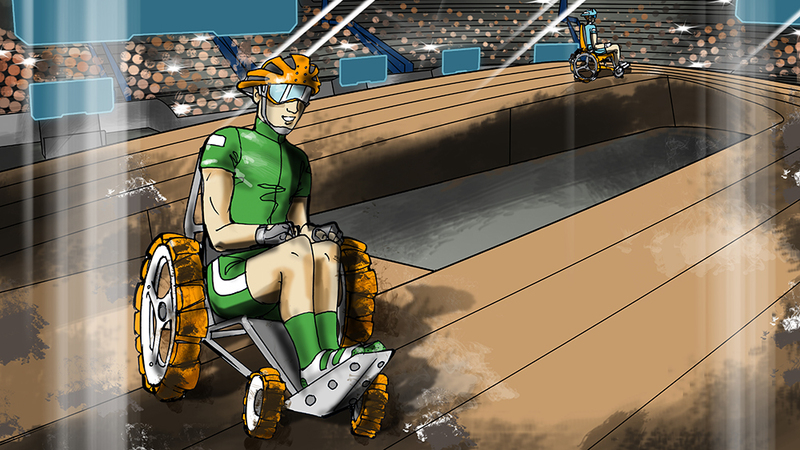 Full registration for the Cybathlon, a sporting event for disabled athletes using robotic assistive technologies is now open. The event will take place in Zurich, Switzerland on 8th October 2016. Technological teams and pilots are encouraged to make use of earlybird registration, which is now open until 31.12.2014. A team must be comprised of a technology provider and a pilot, however teams without pilots and pilots without teams are invited to contact the Cybathlon organisational team, who will be happy to put together collaborations. The Cybathlon is organised in six races: arm prosthesis, BCI, FES bike, leg prosthetic, powered exoskeleton and powered wheelchair. A series of new videos aimed at introducing the concepts to the general public have been published on the Cybathlon Youtube channel – you can watch these videos below. The finalised rules and regulations for the event have also been published on the website, including information on the types of allowed devices, the inclusion criteria for both technologies and pilots and information about each race and the obstacles which will allow teams to move into the next stage of development in preparation for the event. We look forward to seeing pilots, technology providers and keen spectators in Zurich in 2016!